Dawn redwood tree planted on the courtyard property of SLAC National Lab located in Palo Alto. Two trees were given to the campus as a gift from scientists from China in 1965. 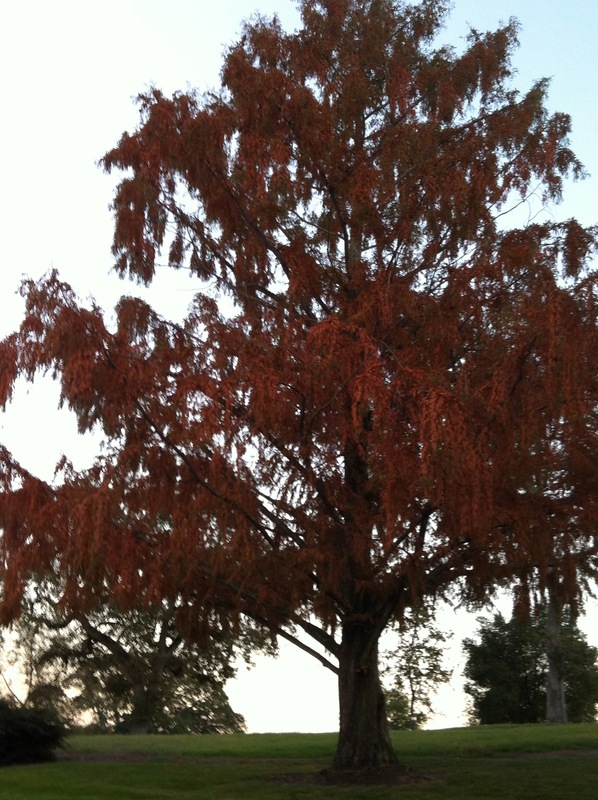 In November 2011, the SLAC National Lab dawn redwood trees turn a beautiful golden red before losing their needles. Thanks to Martha whom works at the lab, for sending this image. 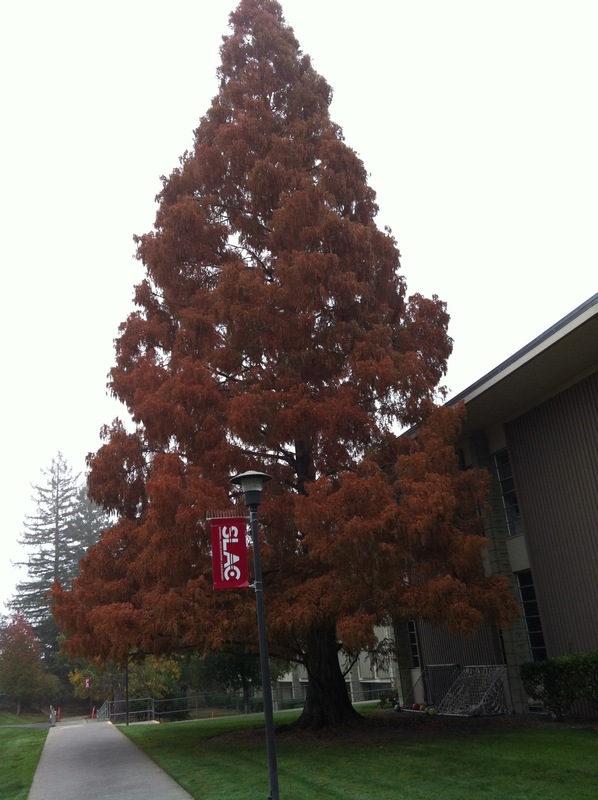 Here is another dawn redwood in its Autumn glory on the Palo Alto SLAC grounds.